Beyonce's not the only one making Lemonade. Politicians are used to dealing with people disagreeing with them, disliking their policies, just plainly disliking them, and with that, the odd common name-calling. 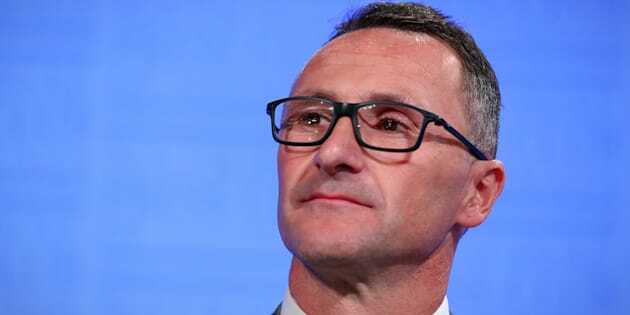 So when a News Corp columnist called Richard Di Natale a "loon" and "mindless" on Tuesday -- after his appearance on Q&A -- the Greens Leader decided to have a bit of fun with it. And spruik a few of his political convictions. Well, why not? Managing to either maintain a sense of humour during the marathon election or simply driven into delirium, Di Natale hasn't stopped with the fun on his Facebook page. On Wednesday the Greens Leader posted a link to a Lateline segment where he belts out Queen's Bohemian Rhapsody. James Corden, anyone? But the Greens Leader wasn't the only one getting cheeky as the campaign passes the halfway mark (ONLY 23 DAYS TO GO, YOU GUYS), with the Liberal Party bringing Taylor Swift into the election battle. After Labor unveiled its 10 year economic plan -- which vowed to bring the budget into balance by 2021 but didn't reveal any new policies -- the Liberal Party of Australia said the plan has "less words" and "more photos" than Swift's 1989 album. You can read all about their Bad Blood here. Foreign Minister Julie Bishop also boarded the fun-campaign-train on Wednesday, dabbling in a hockey game before turning up the heat on the raceway which you can see in all its glory here. Swift. Queen. Ricky Bobby. What's next?